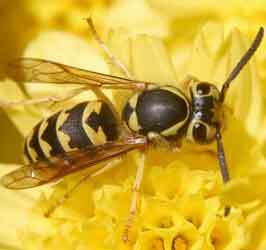 The Wasps is a comedy by Aristophanes. The play revolves around Philocleon ("Friend of Cleon") and his son Bdelycleon ("Hater of Cleon"). Philocleon is addicted to the proceedings of the Athenian court; he spends all his time as a juror, judging others. Bdelycleon wants to help his father; he locks him in the house, but Philocleon is determined to get out and go to the court. After a few comical and unsuccessful escape attempts, a chorus of wasps - his fellow jurors - come to his rescue. Bdelycleon engages the wasps in a debate, and soon proves to them that by serving as jurors, they achieve nothing more than to serve the demagogues. The chorus defeated, Philocleon resigns to staying home. To help his father with his addiction, Bdelycleon sets up a court in his own home for his father to preside over. For lack of anyone else to judge, Philocleon puts the family dog on trial; it ate a tasty piece of Sicilian cheese (apparently a reference to a recent trial in which Cleon accused the Athenian general Laches of accepting bribes from Sicilian enemies of Athens). In a farcical trial, Bdelycleon defends the dog and, when all else fails, a group of children dressed as the dog's puppies come on stage. Philocleon is unmoved, but Bdelycleon switches the ballot boxes on him, and he is tricked into voting "not guilty". 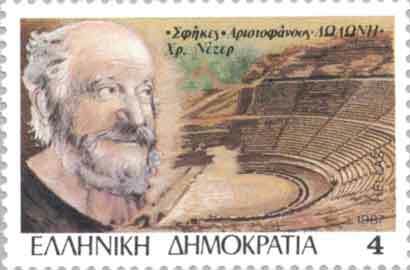 When "all the votes" are counted, and the dog is acquitted, Philocleon faints; apparently he has never acquitted anyone before. The two then go to a party, where Philocleon becomes drunk, incoherent, and happy. The chorus comments that this is quite an improvement for him. The play ends in a wild song and dance number performed by dancers dressed as crabs, representing the tragedian playwrights of Athens.